Join us on Thursday, November 15th at 12 pm for the Board Meeting, and at 1 pm our featured speaker is Lt. 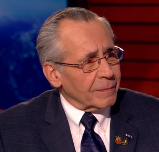 Colonel Sheldon A. Goldberg, USAF (Ret), Ph.D. His topic: Jews in the Defense of the US Since 1654. Dr. Sheldon Goldberg spent half his career in Europe. Upon his retirement from the Air Force in 1985, he joined the Central Intelligence Agency, retiring after 16 years in 2002. He is currently a docent/historian at the National Museum of American Jewish Military History in Washington DC where he lectures on the participation of American Jews in the US military since pre-Colonial times. Wednesday, September 5th at 1 pm in the Hadassah Meeting Room. Come and bring your friends for an introduction to BNC and enjoy a beautifully written film, “Arranged”, that tells the story of two young Brooklyn teachers, an Orthodox Jew and a Syrian Muslim, each going through the arranged-marriage process. The women bond with one another to remain strong women and yet stay true to their own religious and cultural convictions. New members especially are invited to attend. We’ll start with refreshments and have time to mingle. … NEW DATE: Thursday, September 13th at 11am, at the Suburban Country Club. The speaker will be Dr. Deborah Weiner. 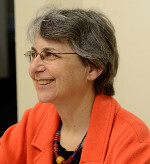 Deborah Weiner is an independent historian based in Baltimore. She works as a consultant to museums and other clients as a researcher, writer, editor, and curator. She formerly served as the Research Historian at the Jewish Museum of Maryland, where for more than 10 years she curated exhibitions, led publication projects, and directed the museum’s Family History Center. Deborah is co-author of On Middle Ground: A History of the Jews of Baltimore, recently published by Johns Hopkins University Press. She also authored the award-winning book Coalfield Jews: An Appalachian History (University of Illinois Press, 2006). Her articles and essays on the American Jewish experience, community history, and other topics have appeared in a variety of publications, from popular magazines to academic journals. Deborah received a Ph.D. in history from West Virginia University and has taught public history and American Jewish history as an adjunct professor at Johns Hopkins University, the University of Maryland at Baltimore County, and the University of Baltimore. Join BNC members as we experience docent-led tours of both the Pearl Buck International Center and the James Michener Art Museum, with an Asian Fusion Buffet lunch provided at the Pearl Buck International Center included in the cost. There will also be free time to tour the gardens outside the Buck house and view the outdoor art at the Michener museum. Bus will leave Greenspring Shopping Center on Smith Ave. at 8:00 AM and return at approximately 7:00 PM, with water and snacks provided on the bus both ways. To reserve your spot on this wonderful trip, send your check for $90 payable to Brandeis-BNC to Rona Greene, 1 Falling Leaf Court, Owings Mills, MD 21117. Questions? Call Rona at 410-252-2118. On Tuesday, October 16, 2018, BNC will once again be participating in the Boscov’s Department Store’s popular fundraising “Friends Helping Friends Day”. Everyone who purchases a $5 shopping pass will receive a 25% discount on purchases made during the “Friends Helping Friends Day” and be eligible for door prizes. BNC gets to keep $5 for each ticket sold. We will begin selling at the closing luncheon. Save Thursday, May 17th for our Closing Meeting & Luncheon… at Suburban Country Club, 11am. Just over one hundred years ago, an author with strong Baltimore ties published The Personality of American Cities. The notion that cities have personalities – durable and distinctive cultures, characters, or traditions – survives today. Baltimore’s personality is distinctive. (Some would say quirky.) Its development can be traced back to the town’s earliest days, and over the centuries that followed the city acquired a split personality – part Mobtown and part Charm City. … at the Hadassah Meeting Room. Board Meeting at noon. Speaker, Sheila Derman at 1pm. Very active in the Jewish community, Sheila currently serves on the Board of Directors of the Baltimore Jewish Council as well as on that of the Jewish Council for Public Affairs (JCPA). 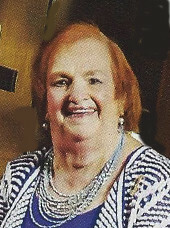 She is the immediate past President of the Federation of Jewish Women’s Organizations of Maryland. Currently, she is a member of the board of the Baltimore County Historical Trust as well as parliamentarian and commissioner on the Baltimore County Commission for Women. With a B.S. degree in Pharmacy from the Medical College of Virginia, Sheila has been a practicing pharmacist for 55 years. She is a community consultant for Medicare Part D and participates regularly in “Pharmacy Days” at the Maryland General Assembly in Annapolis. She recently represented Baltimore Chain Store pharmacies at a National “RX Input Day” on Capitol Hill. A long time member of Hadassah’s Washington Action Office Task Force, she is currently working with the National PRAZE division to implement the new “Day in the District” initiative. Sheila is a Past President of Hadassah of Greater Baltimore and Area Vice-President of Hadassah’s Northern Seaboard Region. On Thursday, December 28th, 1:30 pm at the Hadassah Meeting Room. 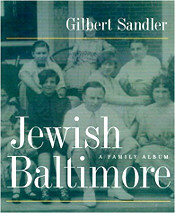 The Baltimore Sun said, “Gilbert Sandler is our great rememberer”. Born and raised in Baltimore, back home after service in the Navy, Mr. Sandler is a well known Baltimore Jewish historian. Many of you have heard his Baltimore Stories on NPR. 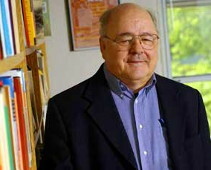 Come hear him and bring your books to be signed when we show our last movie of the Jews in America series. The movie is the PBS Documentary “Maryland Generations: The Jewish Experience”. Call Leslie for reservations and further info at 410-433-6366. 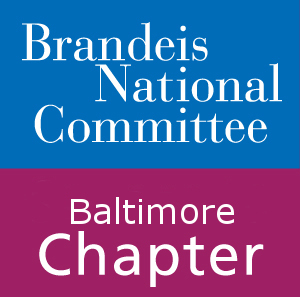 Thursday, January 18 at 1 pm (Board Meeting at noon) at Hadassah Meeting Room. Lakota Oglala Sioux Nation, South Dakota. 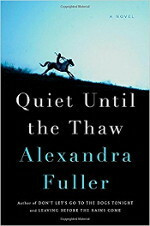 Two Native American cousins, Rick Overlooking Horse and You Choose Watson, though bound by blood and by land, find themselves at odds as they grapple with the implications of their shared heritage. When escalating anger toward the injustices, historical and current, inflicted upon the Lakota people by the federal government leads to tribal divisions and infighting, the cousins go in separate directions: Rick chooses the path of peace; You Choose, violence.